The new directorates that replaced the former UKBA have made progress in some areas but not across the whole business. The two new Home Office directorates that have replaced the former UK Border Agency have had no significant performance falls during or after the split of the Agency. Improvements have been made in some areas, but not across the whole business. 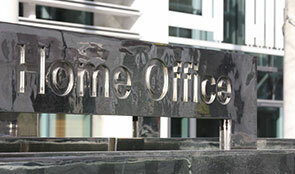 In March 2013, the Home Secretary abolished the remaining Agency and brought its work into the Department under two new directorates: UK Visas and Immigration; and Immigration Enforcement. New service standards introduced by UK Visas and Immigration have given customers greater transparency regarding the time taken to complete different types of visa application. The Department has also prioritized clearing backlogs of cases, and made additional resource available to do so. Progress in clearing the backlogs varies, however. UK Visas and Immigration has cleared all straightforward cases in the areas of temporary and permanent migration but, as at March 2014, the Department had around 301,000 open cases. These comprise some 85,000 which are in hand and remain within the timescales for reaching a decision in the temporary and permanent migration area; and other specific backlogs, most notably over 25,000 claims for asylum. According to the NAO, there is a risk that cases on hold are not dealt with in a reasonable time. These include asylum cases awaiting a decision and cases in the ‘migration refusal pool’, where the Department does not know whether those people who have been refused leave to remain have indeed left the country. Poor IT means that the Department lacks the good quality information needed to run the business. The flagship Immigration Casework (ICW) programme was supposed to replace the legacy Casework Information Database and 20 other systems, but the ICW programme was closed in August 2013, having not delivered all the planned functions, the whole programme having cost £347 million. Caseworkers, therefore, still rely on a legacy system. Support contracts for vital legacy systems are due to expire in 2016, before the new Immigration Platform Technologies programme rolls out fully in 2017. Staff across the directorates told the NAO of their concerns around data quality for cases. Some data is transferred manually from paper to IT systems, increasing the risk of errors. Low morale and a fear of drawing attention to bad news were commonplace in the Agency and issues frequently surfaced only at crisis points. According to the NAO, senior managers in the new directorates are changing the culture inherited from the former Agency and, while still low, morale is improving.